10 is perfection, and is almost unattainable. Anything below a 6 is undrinkable. 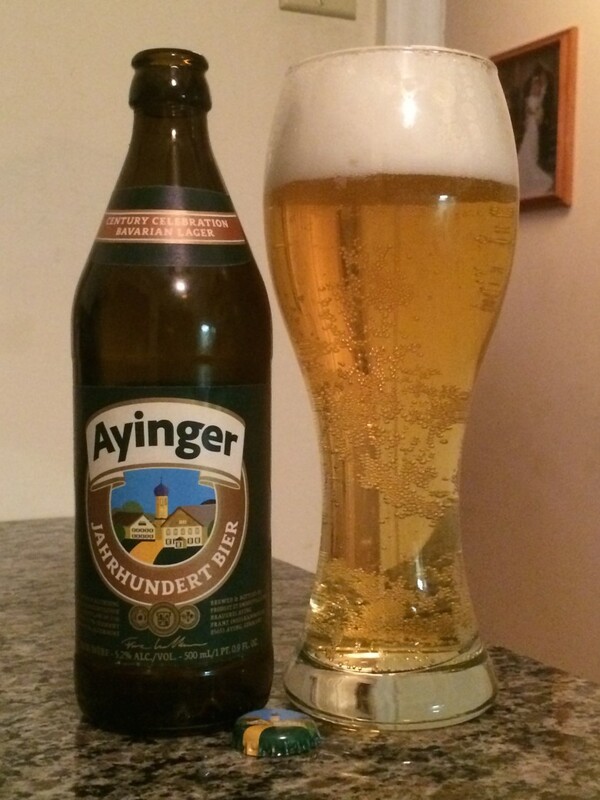 My brother Timothy gave a bottle of Ayingerz Jahrhundert from Ayingerz Brewery to try. He enjoys this beer or bier, and wanted my take on it. Poured into a nice tall glass,you notice right away, the sparkling clarity of this brew. It has a gold color and a very lively carbonation. The head is large, foamy in texture and white in color. It dissipates slowly and leaves a fair amount of head lacing behind. The aroma is that of honey and cereal. Nothing more on that front. The taste is malt-forward. Again, those cereal notes come into play and earthy yeast flavors. 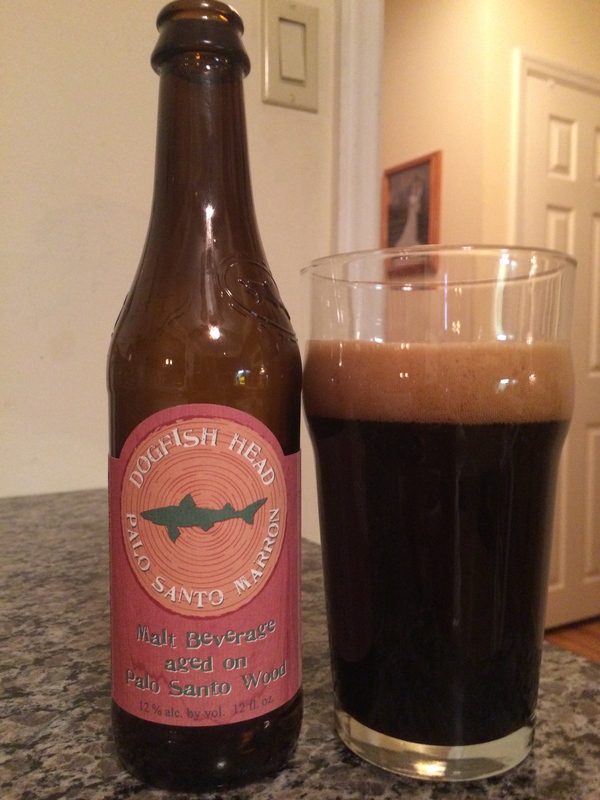 There is a slightly, barely discernible spice that creeps in on the finish from the hops. The finish is clean. 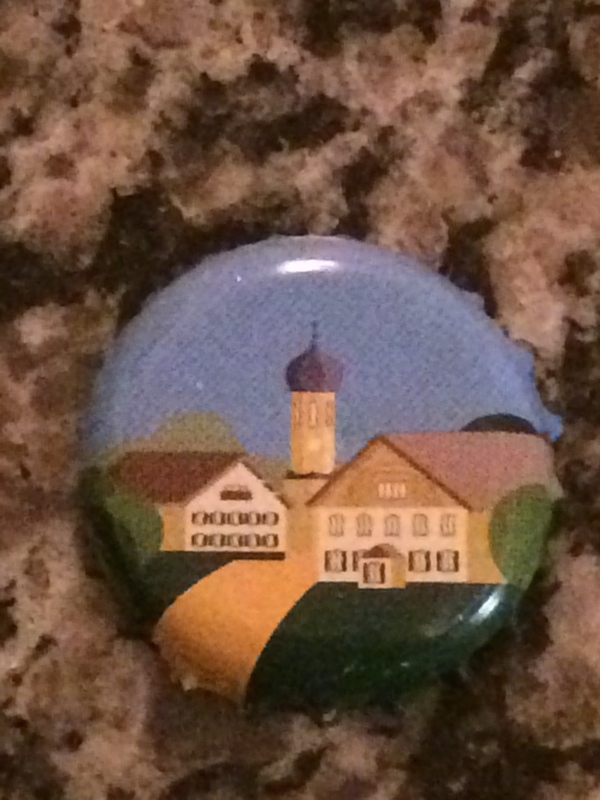 Some German folk art on the bottle cap to enjoy…. This is a good beer. Enjoyable, a definite session lager, but in the end, it is just that typical German lager that, due to the German Purity Laws, tastes just like any other German lager. But don’t get me wrong, this is a good beer to enjoy on a warm day. Buck Snort Stout – North Country Brewing Co.